Castaway Camel donates $2 AUD from every shirt sale to the Wild Camel Protection Foundation. There are approximately 600 individual wild camels surviving in China and 800 in Mongolia. In contrast, there are over 2 million domestic camels currently living in Central Asia (WCPF, Accessed 2017). The wild camels of the Gobi desert are critically endangered, and as a clothing brand that see's it's profits come directly from the beautiful alliteration and curvature of the Camel and its namesake, I thought it was best to give back in order to help save this astonishing animal. We have partnered with the The Wild Camel Protection Foundation (click link) to facilitate donation towards this cause. The Wild Camel Protection Foundation is the only one of it's kind in the world set up to help the critically endangered camels of the Gobi. John Hare has pioneered this great mission and we thank him from Castaway Camel for his amazing work in this field. "The Wild Camel Protection Foundation ( WCPF), a United Kingdom registered charity, with Dr. Jane Goodall DBE as its Honorary Life Patron, was established in 1997. It is also registered in the USA as a non-profit organisation. 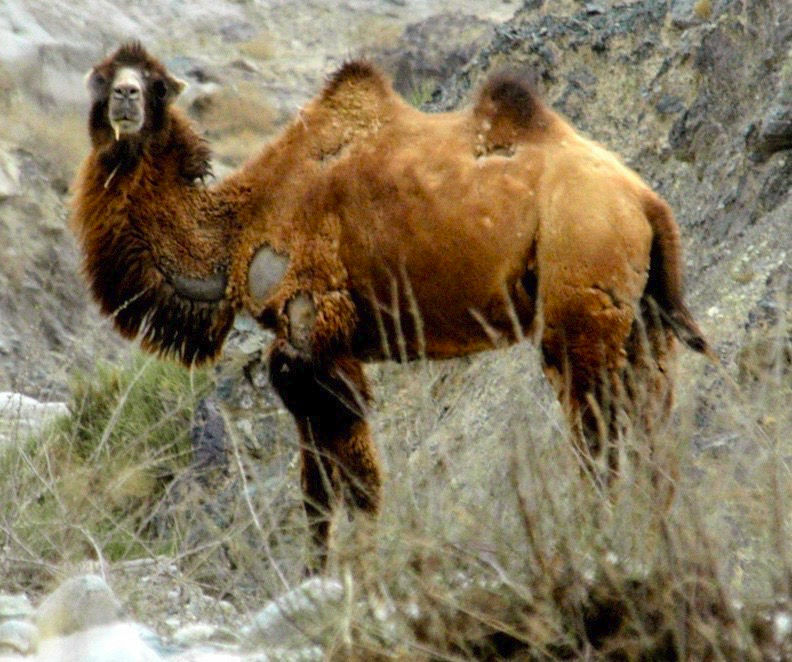 The sole aim of the Wild Camel Protection Foundation is to protect the critically endangered wild camel (Camelus ferus) and its habitat in the fragile and unique desert ecosystems in the Gobi desert in north-west China and south-west Mongolia. It is the only charitable environmental Foundation in the world which has this exclusive objective. The WCPF has raised funds from the United Nations Environment Programme (UNEP), the Global Environment Facility (GEF), and from international organisations, private foundations, individuals, companies and dedicated WCPF members. The WCPF is continuously fund-raising and organising activities to raise much needed funds to continue its vital work."